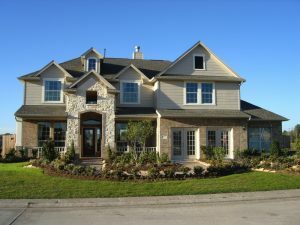 Best Buy Windows & Siding LLC of McKinney, TX has a team of experts with more than 100 years of expertise offering the highest quality home improvement products to Texans. We have been selling and installing custom replacement windows, vinyl siding, and professionally designed patio covers in the North Texas area for more than 30 years. We take pride in knowing that we deliver the best products and highest customer service every time we work with homeowners and businesses throughout the DFW area. While the city signs were just recently changed to reflect the doubled population in the past 10 years, the number of residents in McKinney has risen again, with nearly 128,000 residents. From 2000 to 2003, and again in 2006, it was named the nation’s fastest growing city. In 2010, Money Magazine named McKinney the 5th Best Place to Live in the country. With comfortable communities, a rich historical district, and all the amenities of a much larger urban area, it’s no wonder the city continues to grow.